In addition to dental insurance, there are also dental savings plans that take a fixed sum of money out of the patient’s income to build up a savings amount for emergencies. 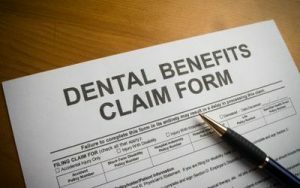 Though these programs can be helpful, they do not compare to the benefits of having full dental insurance. Here are a few of the best companies known for providing the most affordable dental coverage in the United States. Physician’s Mutual offers a different sort of insurance coverage. They issue payments directly to policyholders once the work is completed. The company’s various insurance options are easy to understand and are one of the best in affordability. There is one minor drawback from this type of insurance coverage. It is necessary to research the cost of dental procedures in the area, so there is not a significant out-of-pocket expense. Physician’s Mutual will only reimburse a percentage of the overall cost. Delta Dental is one of America’s largest dental insurance companies. They work with a network of more than 100 thousand different dentists and offer services to almost 300 thousand locations. In fact, the company is so large that an estimated one-third of the entire American public does business with Delta Dental. For over 50 years, Delta Dental has been providing insurance to those in need. They also have one of the highest averages when it comes to discounts at 20.3 percent. They are known to be timely and accurate with payment. Humana Dental is better known for its lack of pre-certification qualifications. They do not put their clients through a 50-page questionnaire before agreeing to provide them with affordable insurance. Humana carries all types of coverage options ranging from 100 percent coverage and no co-pay to low co-pay and set procedural prices. Their website is outlined very well for the eyes of an insurance layman. eHealthInsurance was one of the very first internet-based companies of its kind. In addition to dental insurance, they offer health, vision, life, travel, and accident plans. eHealthInsurance also provides 24/7 customer support and claim service. They shamelessly provide a comparison tool on their website that will compare their rates to the rates of other top-rated agencies. Guardian Dental Insurance is an extension of a network of over 80 thousand dental providers in more than 100 thousand different locations across America. Their average processing time is less than three days, and they are known for their 99 percent accuracy rating.